A Perfect Holiday Gift – Gift Certificates From Exotica Tropicals! Got a plant fanatic on your holiday shopping list? 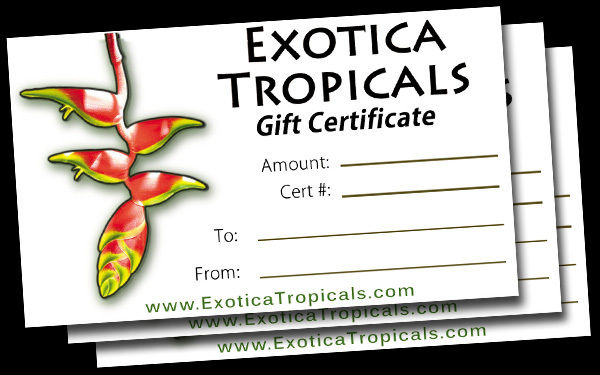 Exotica Tropicals has Gift Certificates available in any amount you need. Plus we’ve always got lots of cool plants in stock to use them on. Anyone who loves gardening or has a garden project planned will flip for these! Tight on time and can’t make it into the shop?